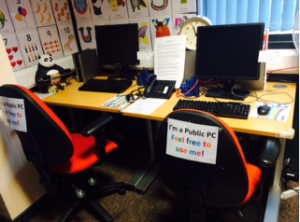 The Resource Centre at Hackney Ark has two public pc’s that parents/carers and young people are able to use. There is no need to book just turn up, availability is on a first come first serve basis. The Hackney Learning Trust would like to hear your views about the proposed new transport policy. As well as asking you to email us with any comments, concerns, we would also like to hear your views in a face to face meeting. The first of two consultation meetings will be taking place on Monday 10th November between 11.30am – 1.00pm in meeting room 1 at the Hackney Learning Trust. The next Teen troubles group starting on Tuesday November 11th 2014. This will run for 5 consecutive weeks from 10.00-12.00. A 5-week parents’ group for parents and carers of teenagers with a learning disabilities AND/OR Autism. Parents must be able to commit to attending the whole programme (5 sessions). Teen Troubles is run by Clinical Psychologists from the CAMHS Disability team. We explore with parents their feelings and thoughts at this important time in their family’s life. A review session is held 3-4 months after the end of the group programme. Previously we only accepted referrals for children with ASD but now we are opening the group to parents of teenagers who DO NOT have a diagnosis of ASD but do have learning difficulties. We are still seeking referrals for this group from professionals or self-referrals from parents. Please find referral form attached. Please do not hesitate to Carolyn Gracey or Bethan Manford on 020 7014 7071 if you require more information or would like to discuss a referral. The next programme is starting on Tuesday 11th November 2014, from 10.00 to 12.00. The Hackney SEND Forum for Parents & Carers meets on a two monthly basis to discuss the most important SEND issues. The next meeting is taking place on Thursday 13th November between 9.45am – 11.45am at the Tomlinson Centre, Queensbridge Road, London E8 3ND. Sorry, but we are not able to provide a crèche for this meeting. Between Friday 24th October and Friday 5th December 2014, The Hackney Learning Trust are holding a consultation period on a proposed new SEND transport policy. Hackney Learning Trust will be organising at least two face to face consultation events which we will provide you with the details of once the arrangements have been made. The aim of the policy is to ensure that eligible children and young people with SEND or medical needs are receiving the most appropriate form of transport, and to also encourage children, and in particular young people, to be as independent as possible for their specific personal circumstances. I thank you in advance for your anticipated help with developing this policy. KEEN London, run activity sessions for disabled children at the weekends during term time and pride themselves on being the only charity in London that can offer (at least) one to one support for all of our children. We’d love for more families to find out about the work we’re doing and attend our sessions and would be very grateful if you were able to help us in any way. We run sessions from The Petchey Academy in Hackney every Saturday during term time from 1pm – 2.30pm and they are provided at no cost to the family or caregiver. The children do not need to have a statement or proof of disability, and they do not have to be Hackney residents, we are offering our service simply to those who are in need of some respite. Our age range is currently 4-16, and we also have a teen keen group who meet on a Wednesday evening to go bowling. The athletes currently involved with KEEN London have a wide range of disabilities and we have a bank of experienced coaches who are able to meet their varying needs. We invite siblings along to sessions and they are also supported by a one to one coach. The parents/caregivers do not need to stay at the sessions so the time is full respite. Our sessions consist of a lot of sports, playground games, arts and crafts and music and we also occasionally take trips to go swimming, ice skating, climbing and boating. We try to encourage everyone to socialise and build their confidence, the children are our ‘athletes’ and the volunteers, ‘coaches’. We also go on two residential trips a year, to the Isle of Wight and West Sussex, which is a fantastic opportunity for the athletes to develop their confidence and their parents to receive a good amount of respite. All trips are also free of charge. Our website is www.keenlondon.org. Please do not hesitate to contact Nicole Curtin for any further details. KEEN London is a registered charity, number 1124915. It is also a limited company registered in England (number 6579658). Pedal Power – Special people on the move! Are you a Young Adult Carer, between the age of 18-25, and living in Hackney? disability, a mental health condition or a drug or alcohol dependency. Through recent studies it is estimated that there are around 375,000 young carers in the UK today. Caring affect carers in various aspects of their lives, this could be social life, education, physical or mental well-being. We run monthly meetings where Yung Adult Carers get the chance to speak, share their views, and meet others in similar situations. Each meeting will have a “hot topic of the month” and guest speakers will cover key issues around Welfare Benefits, Employment, Housing, Education and many more.